The Gluepot Connection celebrates the coming together of a generation of established and emerging composers who defined British music in the middle of the last century (and beyond) in a cornerstone of British life – the local pub. “That bloody Gluepot” was the nickname given to The George public house in central London by Sir Henry Wood, exasperated that its proximity to the legendary Queen’s Hall proved irresistible to his musicians. It also served as the watering hole for a coterie of composers whose wide-ranging influence rivalled that of their literary counterparts, the fabled Bloomsbury Set. 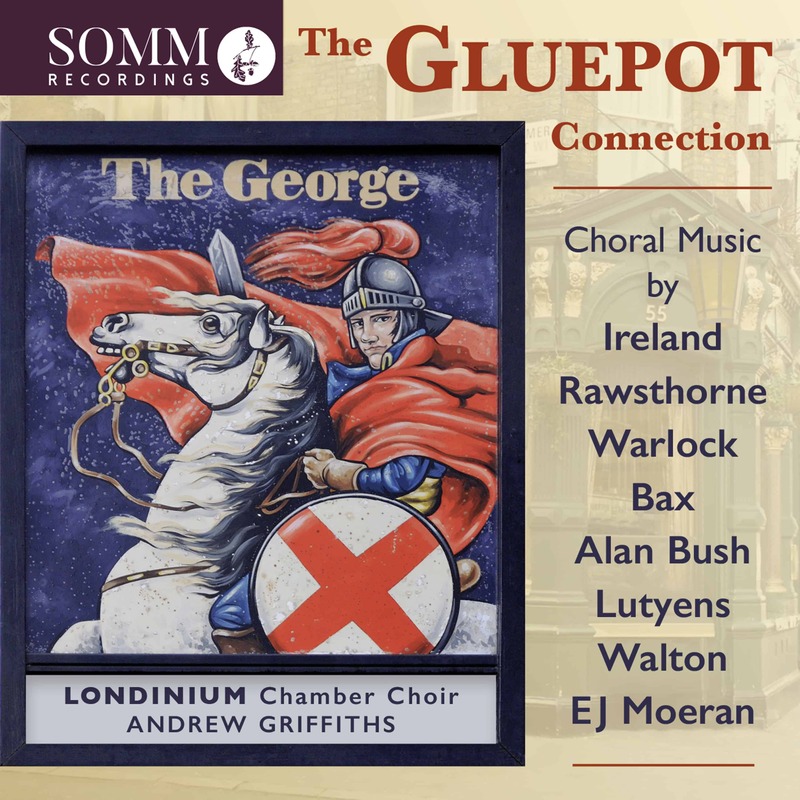 Andrew Griffiths skilfully joins the dots of the Gluepot’s tangled relationships and musical achievements with the Londinium chamber choir to present a vivid portrait of a moment unique in British music. Arnold Bax’s sophisticated a cappella masterpiece Mater ora filium blends past and present to produce one of the most challenging and rewarding works in the English choral repertoire. Delius’s On Craig Ddu proved “a revelation” to a young Peter Warlock, whose The Full Heart boldly marries antiquity and modernity with the same rapturous atmosphere. Interest in the first Elizabethan age was strong in the years before and after the second Queen Elizabeth took the throne, notably so in John Ireland’s melancholic The Hills (composed for the 1953 coronation) and EJ Moeran’s attractively varied Songs of Springtime. Appearing on disc for the first time are Alan Rawsthorne’s bracing, tightly constructed Four Seasonal Songs and Alan Bush’s pastoral part-song Like Rivers Flowing and his powerful response to a wartime atrocity, Lidice. The Gluepot’s connection to the new is illustrated by Elisabeth Lutyens’ warm and melting Verses of Love – a distinctly mellower contrast to the early serialism that saw her dubbed ‘Twelve-Tone Lizzie’. A highlight is William Walton’s tour-de-force anthem Where does the uttered music go?, employing his trademark blend of warm-hearted lyricism and infectiously angular rhythms.